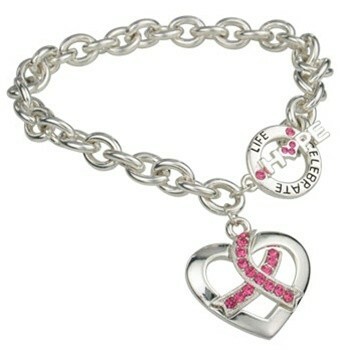 This elegant Pink Ribbon charm bracelet is truly an original. With a heart-shaped toggle closure, crystal pink ribbon and inspiring words like Hope and Celebrate Life, it makes a fabulous gift! Adjustable. Measures: 8"